The story of Sítio São Sebastião begins in the mid 1990s, in a pristine area in which around a hectare of coffee was planted by the producer’s father. Twenty years later, the area came to be run by his son, Merce Jordan, the current owner. 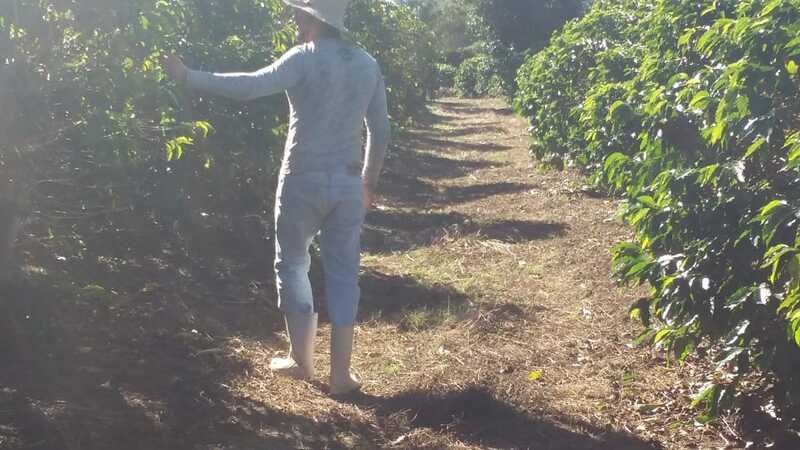 Merce completely renewed the farm, seeking quality. 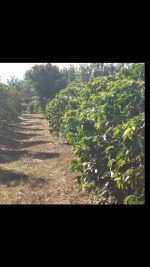 He renewed the fields with pruning and irrigation and planted trees around the farm. All of the work on the farm is done with the help of his family under a system of familial agriculture. Coffee is the main source of income for the family. The processing system was completely changed with the goal of producing quality. The harvest became selective. Processing became pulped natural. Coffee goes directly from harvest to the pulper, which removed the hull. From there, it goes to cement patios where drying begins. 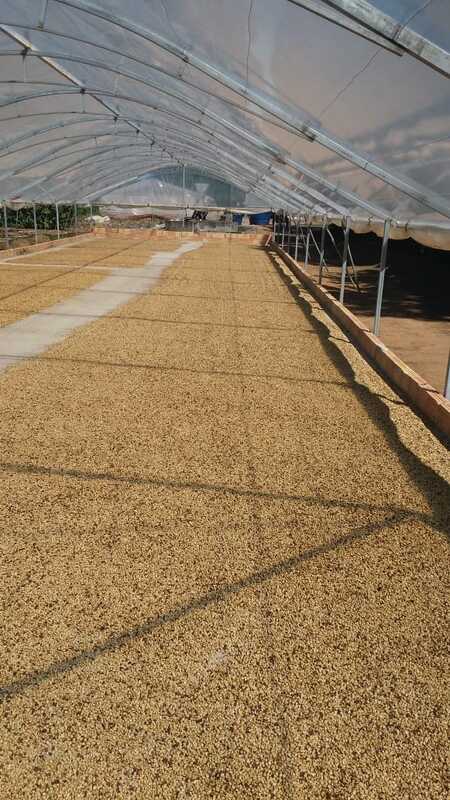 Drying is finished when the beans reach around 11.5% humidity, the proper humidity for warehousing in rest boxes to protect the coffee from moistening. Then the beans rest to improve uniformity. Finally, they are milled for commercialization. 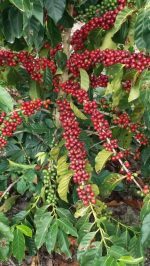 One of the most crucial points for one who wants to produce specialty coffees is to be careful and to love what you do. 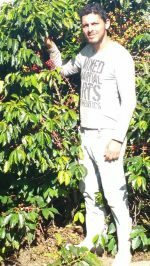 Merce says “I believe that specialty coffee is only produced if it’s done with love.” One of the main concerns is with fermentation of the beans. 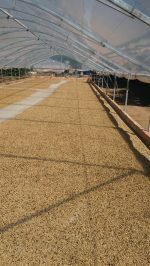 To prevent this, it is necessary to rake the coffees several times a day, a task that demands much from the producer. One must also take care with green cherries and the temperature in the greenhouse, these can radically compromise the quality of the drink.